Whatever you need to do in the kitchen the SQPro Halogen Oven will assist you to get the job done. Your meals will be cooked to perfection and the self-cleaning function of the oven will save you valuable time and effort. 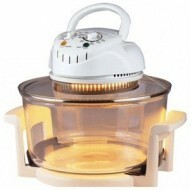 The SQPro Halogen Oven is smaller, healthier, faster, easier, cheaper and more versatile than traditional cookers. This style of cooking drains the fat from food, making it healthier to eat without losing any of the taste. 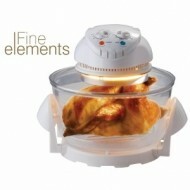 The large glass bowl allows you to view your food while cooking, and serve it straight from the oven when it is ready. 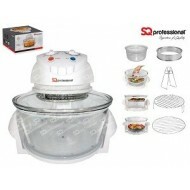 SQPro Halogen Oven comes with 17 litre glass bowl, high rack, low rack, tongs, extender ring and a recipe book. 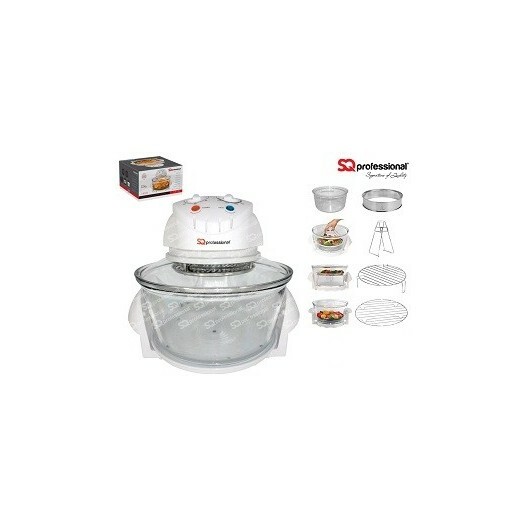 Make life simpler with a SQPro Halogen Oven.